Are spoiler alerts necessary for something that was written in the 14th century? In the case of Sir Gawain and the Green Knight, with its twist ending and potential appeal to modern fantasy readers, the answer is a definite yes. So this review will stay away from the spoilery stuff. See, this tale is too cool to focus on frivolities. It’s a classic quest story where the quest in question centers on the hero’s journey to get his head chopped off. In other words, not your archetypal fantasy MacGuffin. The screenwriting blogger over at Cockeyed Caravan talks about how a story has dramatic irony when the plot-at-hand is not only hard for the hero to do, but hard for the hero to want to do. Needless to say, Sir Gawain has some internal conflict about accomplishing this mission, but being a man of honor is duty bound to follow it through to the bloody end. This is an Arthurian fantasy story that is a pleasure to read even for modern eyes. There are genuine moments of humor; from Arthur’s quip following the Green Knight’s marvelous appearance to the way that Gawain turns down the smoking hot (and very much married) temptress. Gawain manages to be a complex character, even as he embodies all the knightly virtues. Though by the end the plot turns out to be illogically contrived, the focus is really on Gawain’s broken psychology, which leaves the reader in a sad but satisfying kind of limbo. 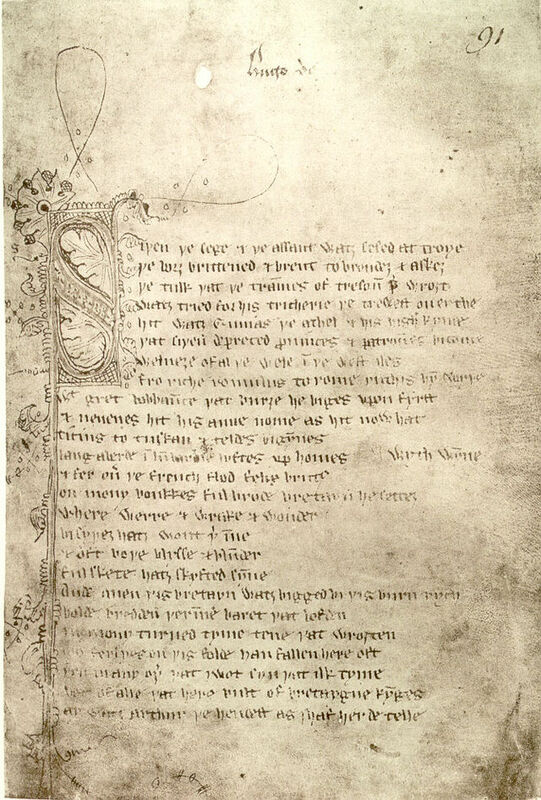 The alliterative poetry is obviously great, and though I am by no mean an expert in medieval literature, Weston’s translation was also easy-to-read. Do get your hands on an edition with both the modern translation and the original Middle English text though; this edition only had the former. If you suffer from chronocompulsive obsessive disorder and are a fan of fantasy, you can find no better beginning than this one. Didn’t Tolkien wrote a book regarding this same story, Sir Gawain and the Green Knight? Also, what? Did Gawain chopped off his own head?! Tolkien did a new translation of the story. And no, Sir Gawain did not chop off his own head. Self-decapitation with an ax is nigh impossible, and considering the length of the ax in question, he would have been hard pressed to gain enough momentum. Not to mention that it’s not a very knightly thing to do. Thanks for the link, and thanks too for the correction, I mistakenly equated “hero’s journey to get his head chopped off” with “Sir Gawain has some internal conflict about accomplishing this mission”.